The hair mask comes in a tub type packing. The mask is white, and it has a sweet fragrance. After washing the shampoo, I squeeze out the excess water and apply this mask to the hair. I leave it for 3 minutes and wash it off thoroughly. The mask spreads on easily, the consistency of the mask is just right. It is neither too thick nor too runny. 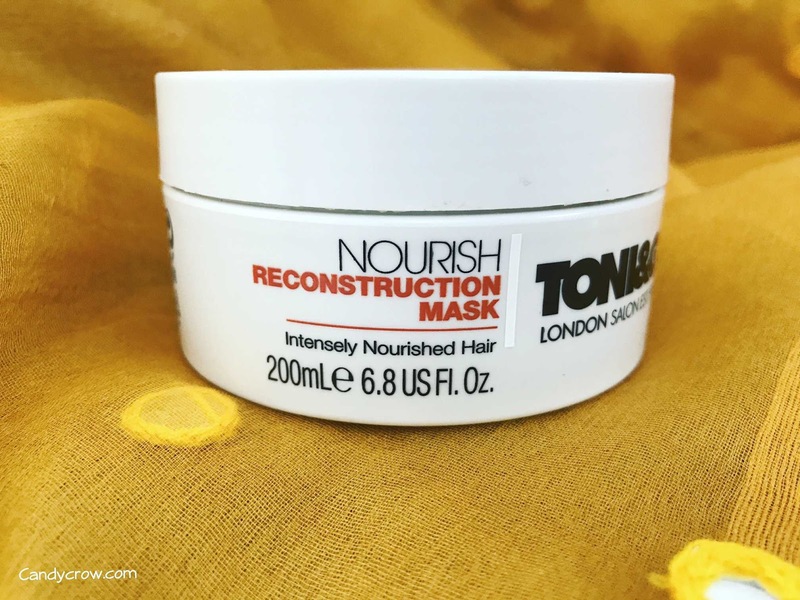 Toni & Guy nourish reconstruction mask does add some moisture to the hair and controls frizz to an extent. But the effects are temporary, the hair get backs to its normal state within a day or so.It does not feel heavy on hair or make it limp. Single tub did last for me for 4 months, and it is readily available online. 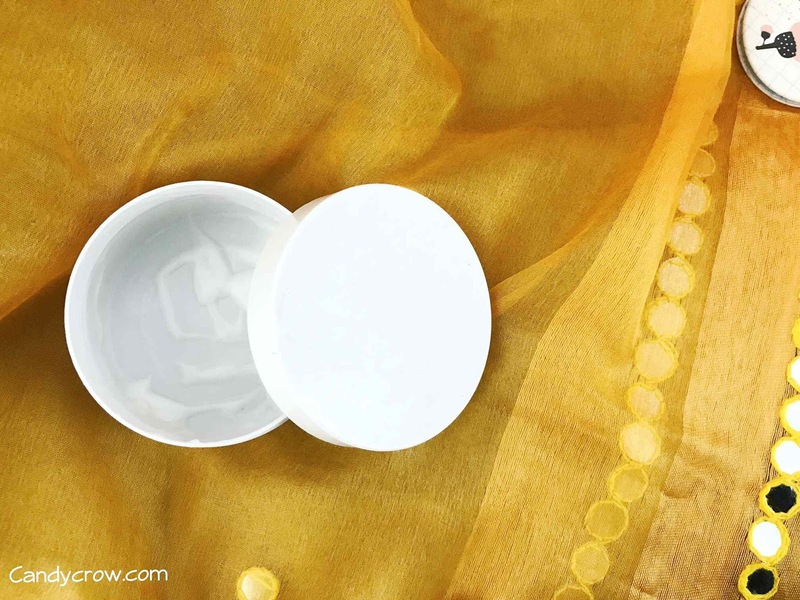 If you have dry hair, you can use it in the place of regular hair conditioner, and if your hair is oily, it could be used once a week as a hair mask. 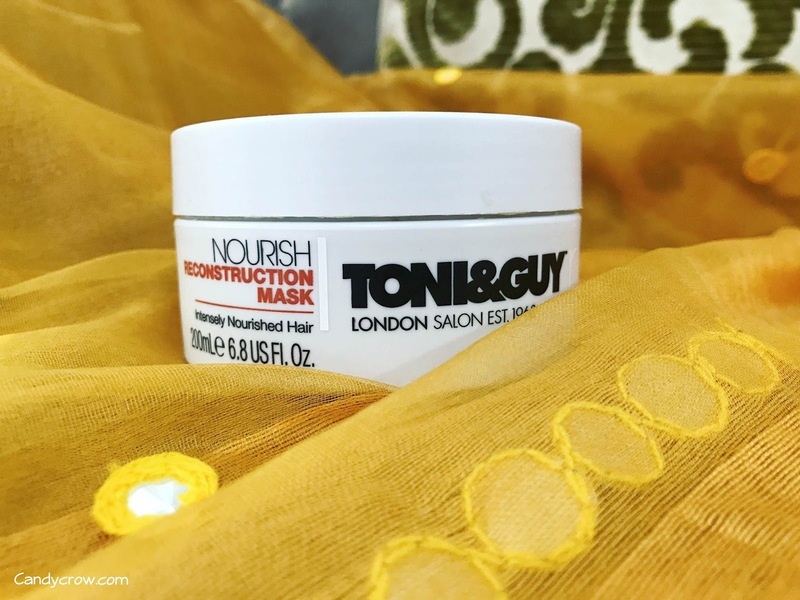 Toni and Guy Nourish Reconstruction Mask makes the hair soft and frizz free, but the effects are temporary. 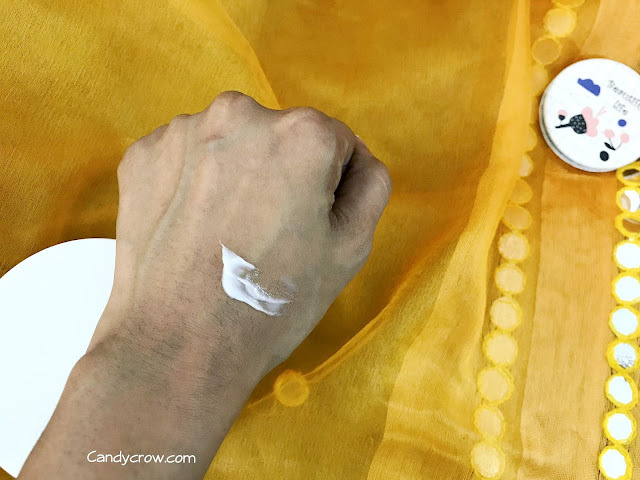 It does nothing to make the hair manageable and healthy in a long run. Will I buy it again, No.